BTS is a Korean boy band that has taken over the hearts of millions of Americans. The group consist of RM, Jin, Suga, Jhope, V, Jimin, and Jungkook. BTS landed in Los Angeles on Monday May 14 and was greeted by hundreds of fans waiting for them in LAX. They are in America for the Billboard Music Awards, where they will perform their new single Fake Love. They are also nominted for Top Social Artist along with Justin Bieber, Ariana Grande, Demi Lovato, and Shawn Mendes. BTS won last year and are currently in the lead with 42 million votes. Guinness World Records is looking into if Armys (BTS fan name) broke a record by most hashtagged tweets in 24 hours. BTS will be in Buzzfeed interview where they will be interviewed with puppies. BTS will perform on James Cordon’s show again. BTS will also be interviewed on Ellen again. They will also appear on Radio Disney. 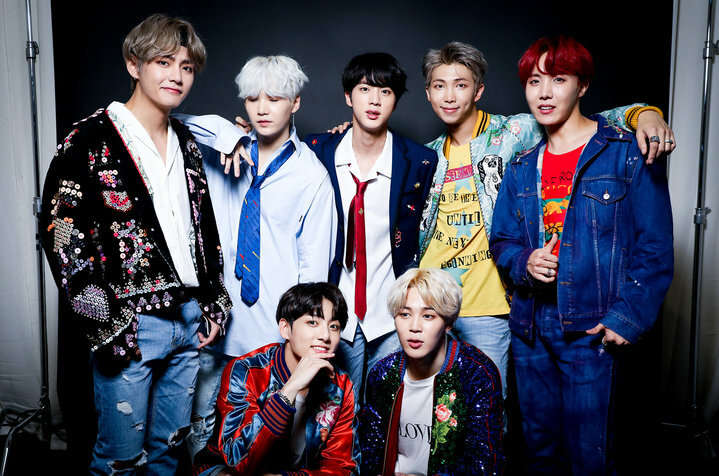 BTS has gained more popularity in America because they won Top Social Artist last Billboard Music Awards. “As a Korean, I feel really proud about them representing South Korea globally. They’ve suffered and accomplished many things throughout the years and I’m so happy for them!” said Gina Song, an SAS junior. BTS will be performing in the Staple Center on Sept. 5, 6,8, and 9. At first BTS only announced they were going to be performing on the 5th, 6th, and 8th of Sept. but due to high demand they added another day. They will also perform in Oracle Arena in Oakland on Sept. 12.